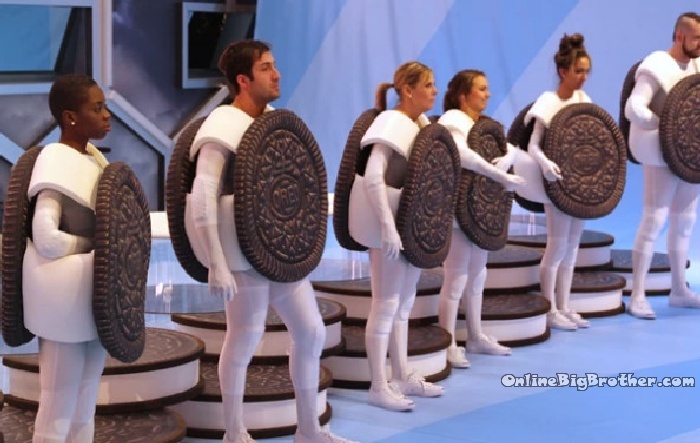 The Players are Dillan, Emily, Demetre, Karen, Neda and Dre – They are wearing an Oreo cookie jump suit. 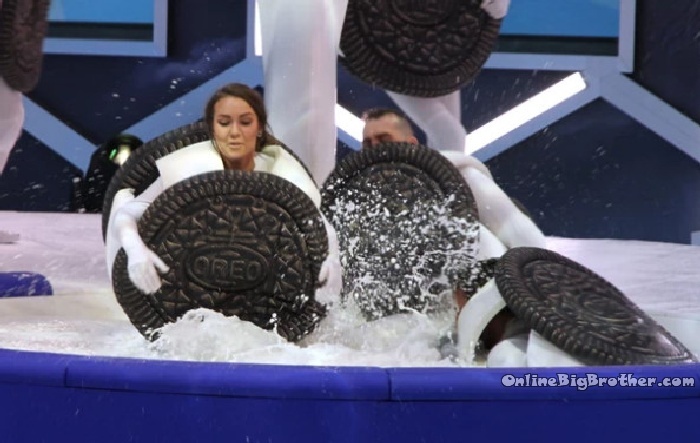 To win POV – The players must jump into a giant tank of milk and soak up their Oreo suit. Then run back and squeeze their suit filling a giant cup with a small ball. Once the level has risen enough they can reach in and grab the ball, first to retrieve their ball wins POV. 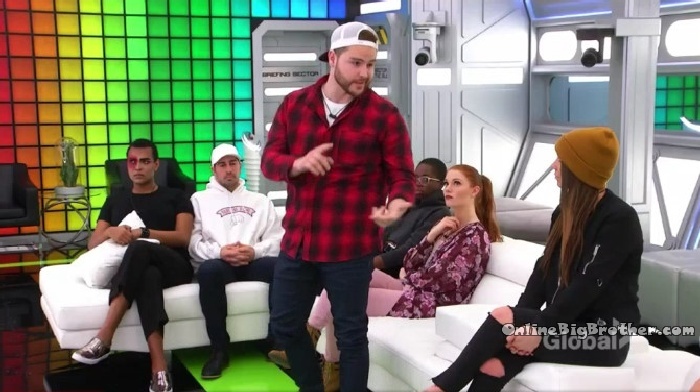 Emily knows that she has no chance of winning so makes room for Dillon to get in the tank… She then blocks Demetres and takes her time getting out. After the POV comp Dillon saves himself. Dallas stands up and says that the week has been nuts. 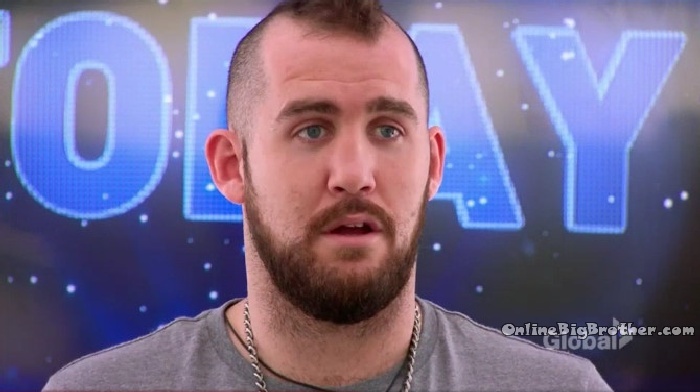 He says that if he’s replaced for eviction, he’ll do everything in his power to take out Dillon. 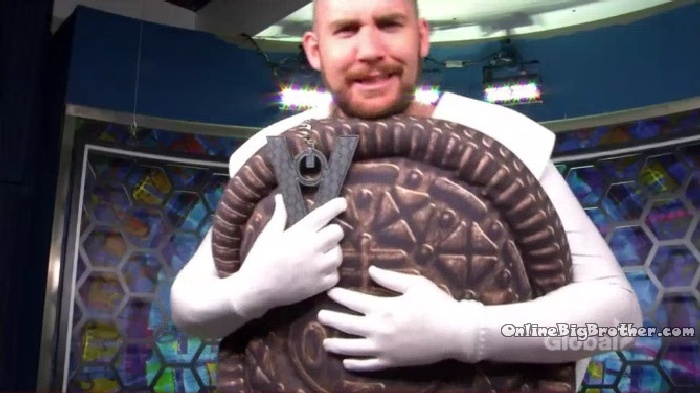 Says “This is the Real deal holyfield… pun intended champ”.